I didn’t want to get up this morning. It was raining, and Devin and I stayed up late watching movies last night. But I know better than to miss class or rehearsals, so I was out the door by 8:15 a.m. There was a wreck on the freeway, and we were barely on time. Then when we got to the Palestra in Addison, it was a zoo. They were having some kind of a gymnastics clinic, and there were HUNDREDS of parents cramming every nook and cranny, and these volunteers with clipboards trying to check everybody off before they even let us in the door. 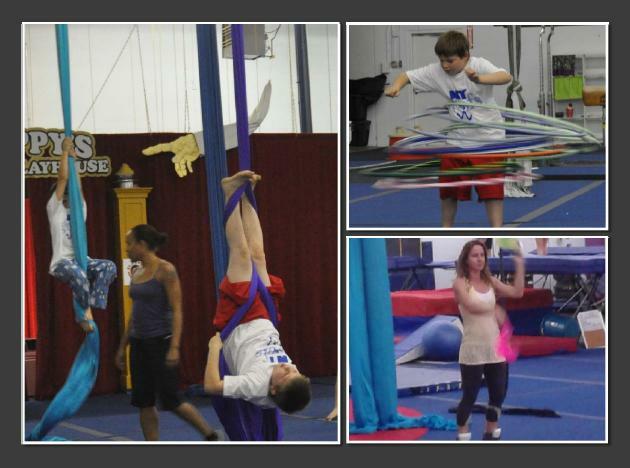 Of course, there was circus class. A few hundred gawkers don’t bother the Lone Star Circus School! We worked really hard, too. Wow, I can’t even hula with one hoop!